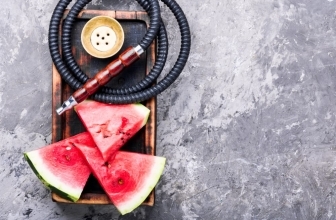 Wooden hookah has been with us for the longest time, while the upcoming type of glass hookah pipes is newer in the market. However one may certainly ask which of them is better. The answer lies in understanding the features that both possess in order to compare which one suits them better. This is an exercise anyone looking to add an extra hookah to their collection or anyone buying it for the first time needs to undertake. This will give them satisfaction and at the same time good value for their money by getting what meets their expectations with regard to durability and functionality. It is not just enough that they are different only in the sense of their material form that is, one is made of wood and the other one of glass. The following is an outline of the features of both models for easier comparison. This can be of great help to anyone looking for a new hookah pipe. The wooden hookah absorbs the smoke flavors which in return strengthen the flavor within some time. Most of the smokers smoke different flavors. The wooden hookah would not give them the cleanest of each flavor due to its absorption feature. On the other hand, a glass hookah has the material that makes it easy to thoroughly clean. This then leaves it free of flavors that could be trapped in the wooden hookah. This in return gives the smoker high quality and smoother smoke. The glass hookah comes in captivating and elegant designs. 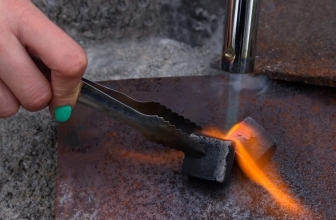 As its names say, glass is used to create glass shishas. This thereof means that the rubber grommets are no longer a necessity. By the fact that the stems fit well in the base and the glass on glass seals translate into a tremendous secure seal. The wooden hookah is open to different colors which make them more colorful. It, however, requires a number of the rubber grommets in the seals. 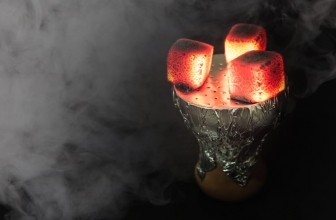 A glass hookah will give the smoker a clear view of their smoke. 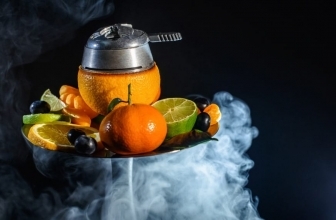 This especially more suitable for smokers who fancy modifying their hookah with colors or fruits, where they can acquire the vapor glass hookahs. This is not the case with a wooden hookah as they are not transparent, therefore one will just enjoy their smoke without seeing it. The wooden hookah is stronger and with proper care would have a long life. It is also possible to replace or repair parts of a wooden hookah. The glass hookah, on the other hand, is highly fragile and can break just from a fall or smash. It is highly unlikely that one can repair a glass hookah once broken. Nor is it possible to replace certain parts of it that are broken. However, it is worthy to note that a glass hookah would live a life time if well handled since it won’t rot. A wooden hookah will rot with time. This is usual with any wood especially one that is usually left in the water. 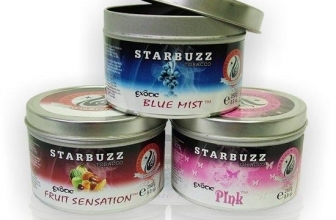 However, a number of hookah stems have been made with removable stems which can be replaced. This is deliberate as the life span of the wooden down stem is not as long as of other materials. It is easy to customize the wooden hookah into different shapes. The client can choose a size or shape that. Different shapes affect the taste of the smoke. This would be difficult for a glass hookah which is fragile. Who can dare change the shape of glass without breaking it? This leaves the glass hookahs with a smaller window for customization, one has to live with it as they bought it. Wooden hookahs are mostly handmade and not complicated. This means that they wouldn’t give the user a hard time in setting them up for use and in while using them. This though means that they are open to the possibility of imperfection due to human error. 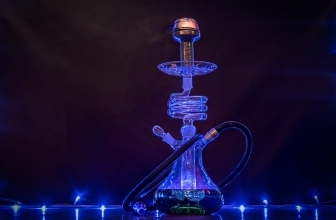 Glass hookahs, on the other hand, could be a little complicated to set up but once one gets acquainted then they are good to go. The possibility of imperfection is quite low even though they are more expensive. There you go! 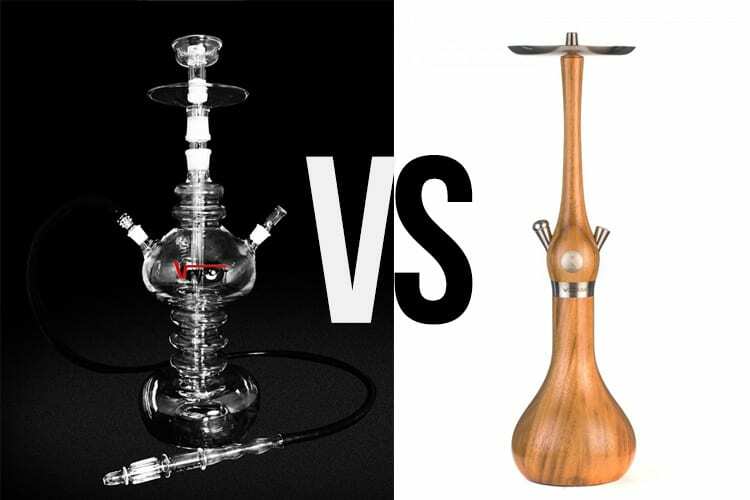 The choice on which hookah to go for, glass or wooden has been made simpler. It all depends on what one is looking for in a hookah. What they like, their smoking habits as well as their budget. One needs to go through the features set out which then will leave them informed on what they will get form either of the two choices.